The battlefields of the early 1900s have changed drastically from even a few decades prior. The King’s Empire has adapted to the changing nature of war by creating the Grenadiers, soldiers who are trained in the use of the grenade launcher. Fitted with the ability to use multiple types of ammo, these grenade launchers allow Grenadiers to hunt the biggest threats on the battlefield: blocks of infantry soldiers and the massive Titans. Being in the thick of fighting does not bode well for their survival rate, but the recent adoption of gas masks has given them a better chance of coming home. 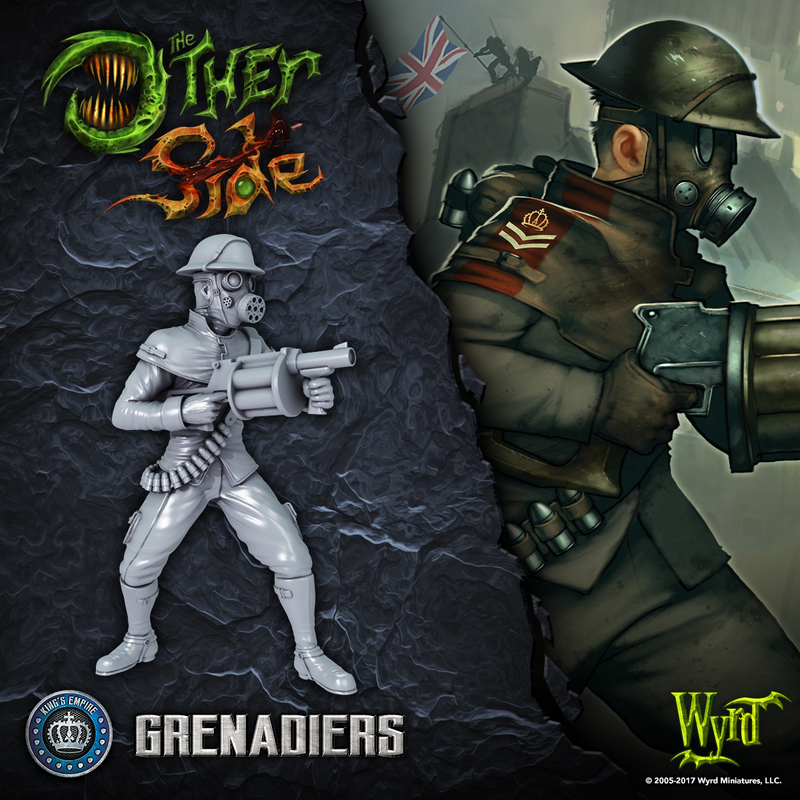 On the tabletop, the Grenadiers are capable of using their Grenade Launchers to deal a lot of damage to light infantry units. They also have a good chance of taking down Titans with their high-powered Rocket Grenade attack. They are a straightforward unit, but one whose versatility makes them an excellent addition to many forces. I personally can't wait to use these guys to blow up some of my future opponent's Gibbering Hordes.